Discussion in 'W.I.S.H' started by Oneanne, Jul 3, 2018. Each weekday we'll have a different topic that I'll post, following the following schedule. Who's in for making July a month to remember? Post a couple goals for the month, and let's get started! Let's turn things around a bit today and talk about some things we are not willing to do in our quest for our weight loss goals. For instance I know, even though I've listed it as a monthly goal multiple times, that I'm not going to give up Starbucks. List out three things you aren't willing to give up or are not willing to do. And bonus discussion... any special plans for the upcoming US holiday? Getting in four NAET appointments this month. I have a appointment this afternoon where we're going to tackle eggs, which I'm rather excited about. I'm going to continue to have my tune-out/ tune-in time just sitting in my backyard for at least 15 minutes each day. This has been so valuable in helping me ground myself. And let's say -5 pounds for the month. What am I not willing to give up or do in my weight loss journey? 1. Starbucks... just can't break the habit. 2. I'm never going to be a runner, not even going to try. 3. I'm not going to eat things that are good for me, if I don't like them. No special plans for the US holiday... it's kind of strange to have it fall right in the middle of the week, and having just come back from vacation I didn't want to take more time off. Which sounds really silly, now that I see it in writing. Alaska was fabulous, everything I had hoped for. It was the prefect mix of learning and crafting and meeting people and being out of doors and exploring, just a wonderful adventure. The sun never set while we were there, one evening we hiked up to a nearby glacier at 8pm! I really enjoyed my roommate, which added a lot to the week. The entire town came together to host the participants... some of the extras we got to do was to tour a vintage Foss tugboat that a couple uses for fishery rescues and one evening there was a sing-along-knit-along viewing of the movie Mama Mia. They showed a version of the film that had the song lyrics displayed on screen and the theater lights were up so you could knit while watching... it was a hoot. I ate well while I was there, with very little dairy, which made quite a difference. And while we're at it... I'll be offline again tomorrow, so go ahead and Woohoo away! That is great @Oneanne that you took over hosting July!! I might actually get to take a more active part while I am on vacation... Part of our vacation will be quite relaxing, so hopefully I will find time to hang out here a bit! HappyGrape, 4Mickeys and Oneanne like this. Thank You @Oneanne for hosting. I am woohooing I am off the rest of the week and I am getting out of work early today as well. Plans for the week. This is our favorite holiday. We have been know to go to fireworks every day they are available. We skip around to several cities. Tonight we will go to an out door music venus (it is huge) to listen to the Orchestra and watch fireworks. What is nice is with the orchestra we get to bring all of our own food. When this venue has concerts (popular singers) you can't bring anything in. We always go with a friends of ours and have a great time. Wednesday we are doing to my in-laws for the afternoon and then watching fireworks in their area. We are off Thursday and Friday so we will see if we can find any other cities that we can go to. 4Mickeys and Oneanne like this. I might actually get to take a more active part while I am on vacation... Part of our vacation will be quite relaxing, so hopefully I will find time to hang out here a bit! Great to hear we'll be seeing more of you during July! Enjoyment of food - by this I mean I will not force myself to have something just because I SHOULD - also I know some people who have gastric sleeve or banding and whilst - yes they drop weight and may improve health - they are so restricted in food and how much they eat - I mean mind boggling small amounts. Well today was 4th of July here in Australia and funnily enough I went to a conference/workshop by an American - Dr Ross Greene - about challenging behaviours - so WOOHOO to Ross and a great day of learning that will help with work (and possibly my own parenting). Today let's do the reverse and list out three things we are willing to give up or release in order to achieve more healthful living. BONUS TOPIC: What is your word for the month? Good Morning! I'm new and hoping to get a fresh start this month getting back to my healthy lifestyle. Things I am giving up - Staying up too late, wasting time (computer, etc), Carbs! Happy Thursday! What am I willing to give up or release? 1. I'm willing to release feeling crappy. 2. I'm willing to give up the frustration I feel over not being able to wear the styles of clothing I would like to. 3. I'm willing to give up feeling old. They say you are getting some sort of payoff for everything you do... I'm not clear on what payoff I'm getting from consistently feeling old and crappy and not being able to dress the way I'd like, but I suspect it has something to do with holding myself back to a place that matches my estimation of self-worth or what I feel I deserve... I guess I need to explore this some more. WORD FOR THE MONTH: Freedom... it goes hand-in-hand with gaining freedom from the things listed above. At NAET Tuesday I decided I wanted to work on sugar instead of eggs, to see if I could get some support from the cravings. Part of the treatment is to go 24 hours without eating any of the food you're being treated for and with sugar this is a huge challenge, since sugar is hidden in just about everything. I ended up eating very little yesterday, just to be safe, and when the 24 hours expired I made myself two salads... a Caprese and a Watermelon and Feta. I thought it was pretty good that I was craving tomatoes and watermelon, not cookies or cake. This morning at SB I got unsweetened iced tea and a bagel with just butter. I can't claim that I'm willing to give up refined sugar, because I know better, but I am certainly willing to free myself from the control it's had over me. Welcome! 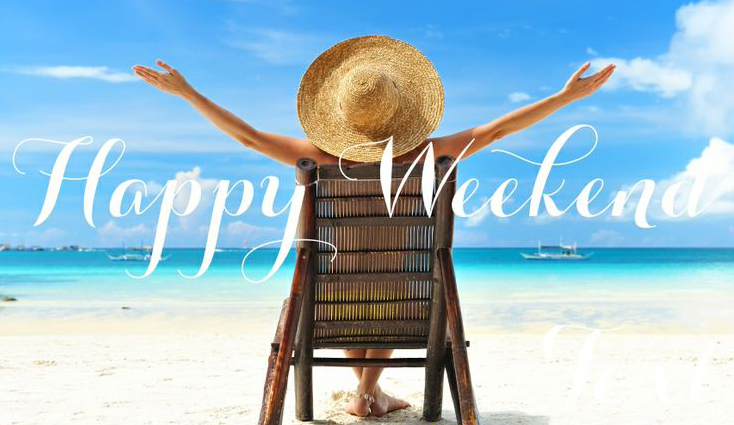 Hope you enjoy hanging out with us! Thank you, @Oneanne for hosting! I really like these two questions. These are the basics that I think keep me grounded in being realistic about what I want to do versus what I will actually do Haha! 1- I will not run. It hurts my hip and I don't like it. 2- I will not give up sweets completely. I have cut back and started finding slightly better options, but I have to plan it in somehow. 3- I am not giving up alcohol completely either. It's another thing I am learning to enjoy in more moderation and learning to make lighter cocktails, but it's something I enjoy (especially red wines with meals), so it's got to be planned in as well. 1- Excuses..... not that it's easy for me to give up. Man, do I love my excuses for why I can't work hard at the gym on any given day or why I deserve to eat this that and the other.... But little by little I am more and more willing to listen to that little voice in the back of my head calling me out on that nonsense. As for what's up in my world: I did make lifetime at WW! Woohooooo! But..... I still have some weight to loose per the doctor's request. My goal is to be at the goal she set for me (5lbs down) by the end of the month. The holiday was a little derailment, but not completely awful. This weekend is going to be a little off track. DH and I randomly decided to go to Disney! His pass is blacked out so we are going to stay at Yacht Club and hang out by the pool and just be in the Disney bubble (maybe get some Edison bar/Jellyrolls time in!). He already booked one of his favorite restaurants, Homecomin', but other than that meal, I think I can do ok and balance it all out. Other than that, I don't foresee any other obstacles in my way. I just have to stay committed to my meal plans and my exercise. Hope everyone is having a lovely Thursday! As for what's up in my world: I did make lifetime at WW! Woohooooo! 4Mickeys and Lady Marie like this. Establish a regular, consistent exercise routine that I can follow in the months to come. ^ I am willing to cut BACK on all 3 of these things, but gosh darn it I just can't imagine my life without them completely. My word for the month: Perspective. I think it's good for me to have some perspective as I begin my health journey (I had a good start last month but with family visiting from out of town for a week, followed by a week long vacation...I fell off the horse. So I'm re-setting and starting this month.) Some reflective thinking will do me good before I launch myself fully into this. Just some context for you all, I'm 26, 5'7" (-ish) and as of my weigh-in yesterday, a little shy of 155 pounds. I've been slender my entire life, but over the past few years I've adopted a pretty sedentary lifestyle, full of fast food. So, in the last 2 1/2 to 3 years I've gained a solid 15-20 pounds. I'm still at a healthy weight/BMI for my height (although I am starting to brush up against the upper limits of a 'normal' BMI; technically 160 is considered overweight). I know this weight gain came from unhealthy choices in my diet and activity. So it's time to REVERSE all of that (Reverse actually sounds like a good word for next month...), but for these next few weeks I think it's good to have some perspective that I AM healthy (for the most part), and that I should not be beating myself up and allowing unhealthy THOUGHTS to creep into my mind. Looking forward to following this thread for the month of July!!! 4Mickeys, Lady Marie and Oneanne like this. Welcome! 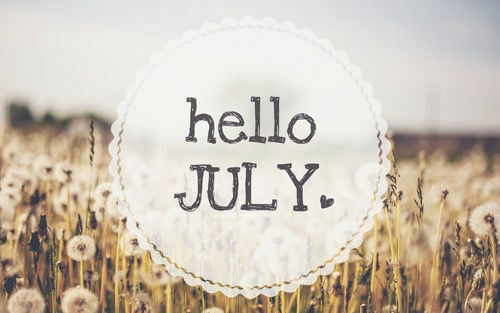 Glad you're here to help us make July a month to remember! And goals check-in... how are you doing with your July healthy living goals? We've decided I'll be doing NAET every other week, which sounds good to not rush and to let my body fully assimilate the changes. But that means goal #1 is null and void as that's just two appointments per month. #3 I weighted myself before going to Alaska and was actually up a few pounds from where I've been hoovering: while in Alaska I ate very well with minimal dairy or sugar and felt like I had lost some weight. Once back home I slipped back into my old eating habits, but kept forgetting to get on the scale until yesterday. Evidently I didn't do any damage because I was four pounds lighter than my normal weight and six pounds lighter than the pre-Alaska high. Since I didn't weigh on July 1 to get my starting point, I'm going to split the difference and say I've lost two of my five pounds for the month. I've done well staying away from refined sugar, but really didn't feel great yesterday... could be a kind of detox/withdrawal, which is ultimately a good thing. No big plans for the weekend, but I am thinking of driving out to my favorite yarn store and taking a walk in the park near by it. I guess I'm also having Alaska withdrawals and need some woodsy time. Lady Marie and 4Mickeys like this. I'm finally down 115. I'm 1 pound away from my next major milestone (40% of my initial body weight). My goal for the month is to keep going strong and to donate my old clothes. I have all of this stuff that no longer fits and I think it would be nice if someone can get some use out of them. Lady Marie, piglet1979 and Oneanne like this.